This month Barrel kicked off a partnership with Stone Barns Center for Food and Agriculture, a non-profit sustainable agriculture organization, to reimagine their digital experience with a focus on spreading awareness of their mission and work. As Stone Barn Center’s digital agency partner, Barrel is responsible for building a new digital brand system, re-platforming the existing Stone Barns website, redefining user journeys for key audiences, and architecting a seamless CRM system to manage farm visitors and donors alike. Home of the internationally renowned restaurant Blue Hill at Stone Barns, in Pocantico Hills, NY, Stone Barns Center is a popular destination for New Yorkers and beyond. Since its inception in 2004, Stone Barns Center has grown to offer more than just a farm to visit. 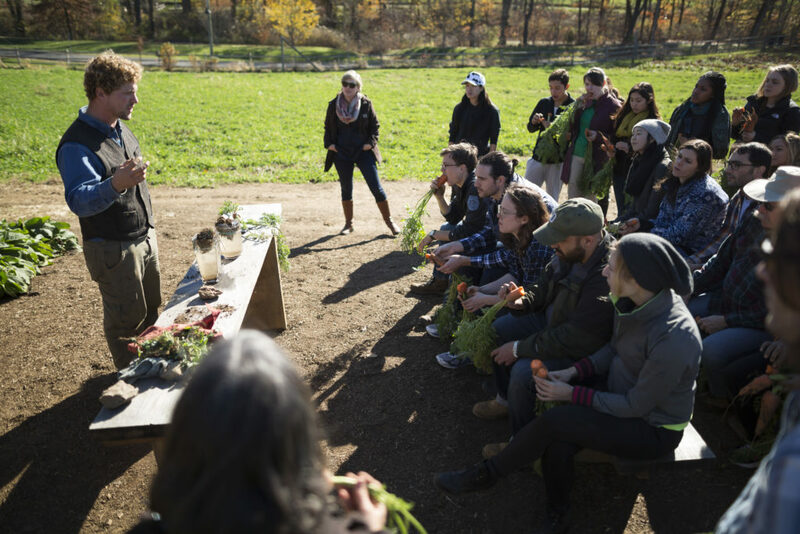 In their quest to transform the way America eats and farms, Stone Barns Center hosts and runs education programs for beginning farmers, convenes change makers for talks and conferences, and continually develops innovative agroecological farming practices on the farm. Barrel will collaborate with Stone Barns Center to bring their work and leadership in the space to a larger audience through a new website and content hub. For the past 11 years, Barrel has collaborated with an array of non-profit organizations to think strategically about their digital presence. Barrel’s work with Stone Barns Center will add to the agency’s growing roster of non-profit organizations including Jacob’s Pillow Dance, Edible Schoolyard, Alvin Ailey American Theater, and Council for Economic Education. For more information on Stone Barns Center, visit stonebarnscenter.org.